Dodge Charger has been flexing its muscle for years, which is why so many people choose this mid-size sedan. This car has other great qualities, like its technology features that add to its sporty appeal. The Sport Mode feature offers a sports setting for your Charger's engine, transmission and steering system. While driving in this mode, you get modified shifting, and you'll notice improved throttle response. No need to let phone calls interfere with this enhanced driving experience. Add the Uconnect Voice Command feature and Bluetooth Streaming Audio so you drive and talk, hands-free. You can also make calls, change radio stations and choose your music with your voice instead of your hands. Want to feel how the Charger moves in Sport Mode? 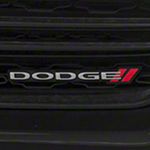 Stop by Gillie Hyde Dodge Chrysler Jeep RAM showroom for a test drive. We're conveniently located in Glasgow, KY.